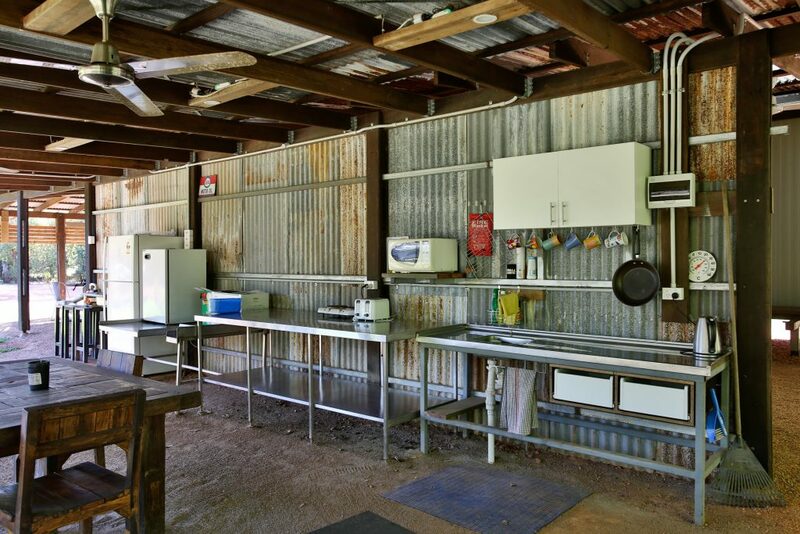 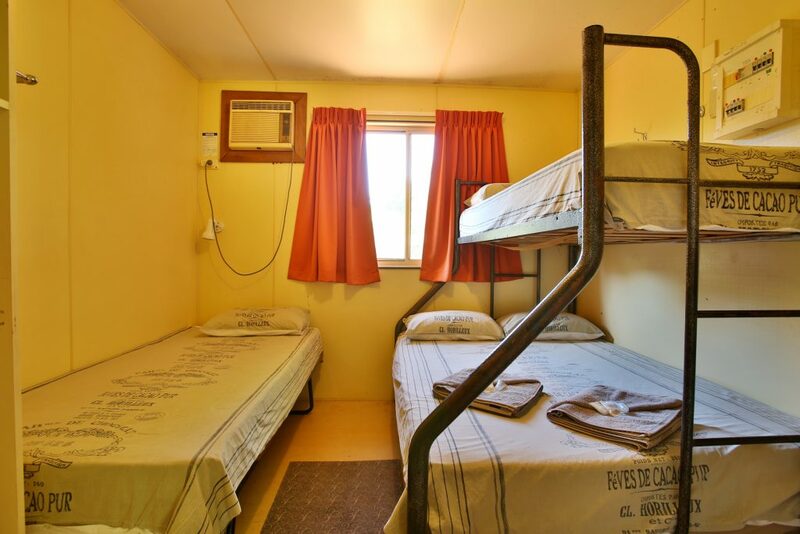 Our rustic barn style Bunkhouse is affordable air-conditioned accommodation with private exterior showers to accommodate 1, 2, 3, 4 people with camp kitchen set under a massive 250sq covered entertainment area with fans to keep you dry in the wet and out of the sun in the hot steamy season. 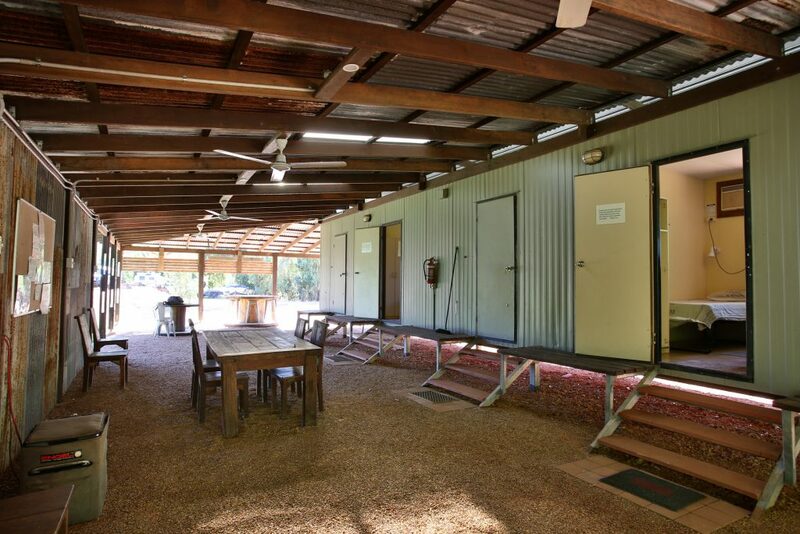 This area lends itself to large groups or families and can be booked exclusively. 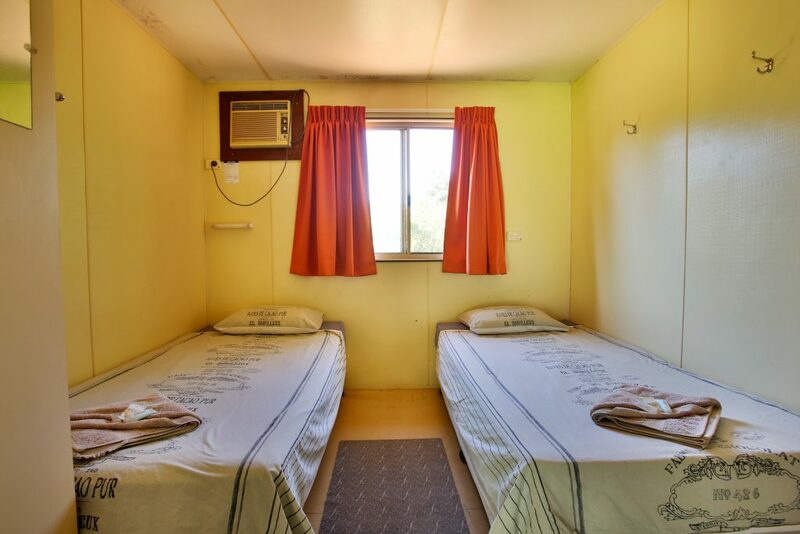 As well as single rooms at an economic price. 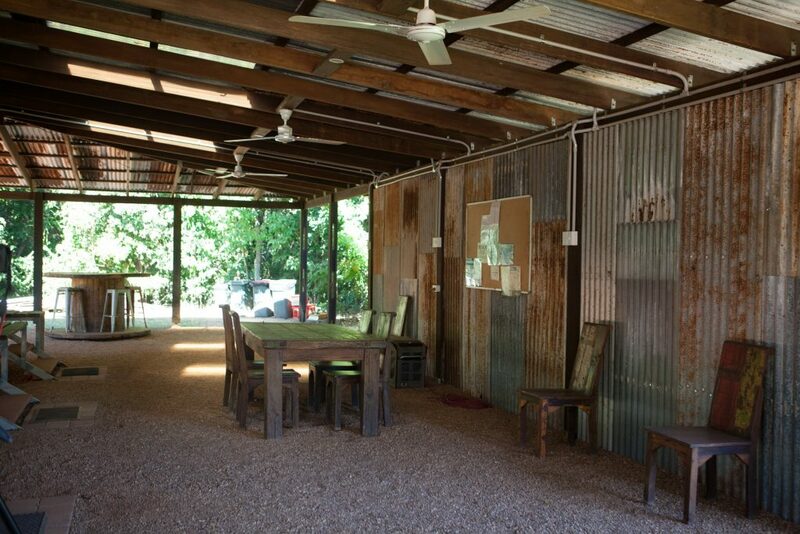 This area is also situated at the rear of the camp ground but yet only approx. 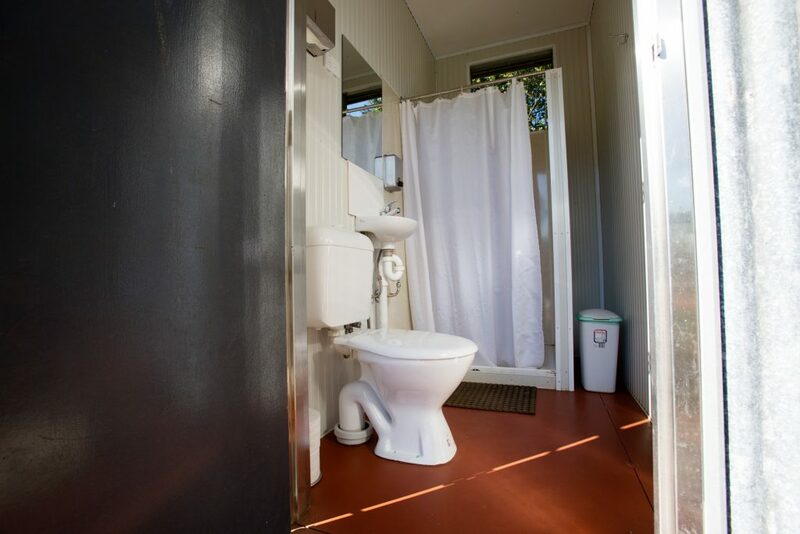 125meter walk to the riverbank, private pontoon and viewing area.